Whether you’ve just moved in to your dream home and can’t wait to put your own stamp on it, or just feel that you’re a bit stuck in a rut with your current interior style, I can help you. I will create a home space that feels welcoming to you, and to your guests. One that you will want to show off, without seeming showy. I can help you create the welcoming, personal space you deserve. Please take a look at my bespoke design services. I look forward to meeting you – and your new home. Please contact me to book a FREE no-obligation appointment or for further information on the affordable, stylish interior design and home makeover services. As an Interior Designer, I can take some of the stress away, help you avoid expensive mistakes, show you how satisfying the process can be and help you build confidence for future designs. My home staging services range from advice on effective home improvements to dressing and furnishing the property with furniture, soft furnishings and accessories. If you are not thinking of a complete refurbishment of your home but would still like to turn it into a more beautiful and enjoyable space I can offer you a home makeover or colour consultation. 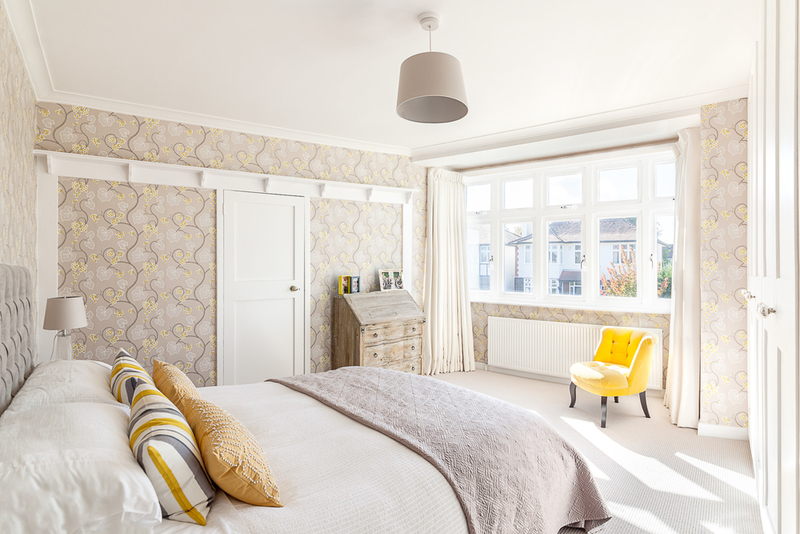 Having offered interior design in Surrey and the surrounding areas for many years, I can confidently say that I’ll be able to completely transform your home with my interior design skills. My experience means that I am capable of producing excellent work, and hopefully the projects below speak for themselves. I am always willing to go above and beyond for my clients, ensuring that both your needs and design ideas are met. As a professional interior designer in Surrey, I believe that I can cater to all requirements and design aspirations. Once more, I am confident that with my experience and skillset, I can achieve the décor of your dreams. Please take some time to browse through my interior design projects below to see some of my favourite designs. If you’re looking for interior design in Surrey, please feel to contact me to book a FREE no-obligation appointment. I am happy to talk through your requirements and come up with the best interior design service for your taste and budget. Whether you have a clear vision of what you would like your home to look like, or are looking for an expert eye, I’m here to help you achieve the best results. Upon choosing Elena Romanova Interiors for interior design in Surrey, I’ll be there to transform your home beyond any of your dreams and expectations. My experience as an interior designer in Surrey is second to none. I’m confident mixing different colours, patterns and textures. And I do know what works! Make the most of my interior design services across Surrey and South West London and call me on 07990 560264 to discuss your project.